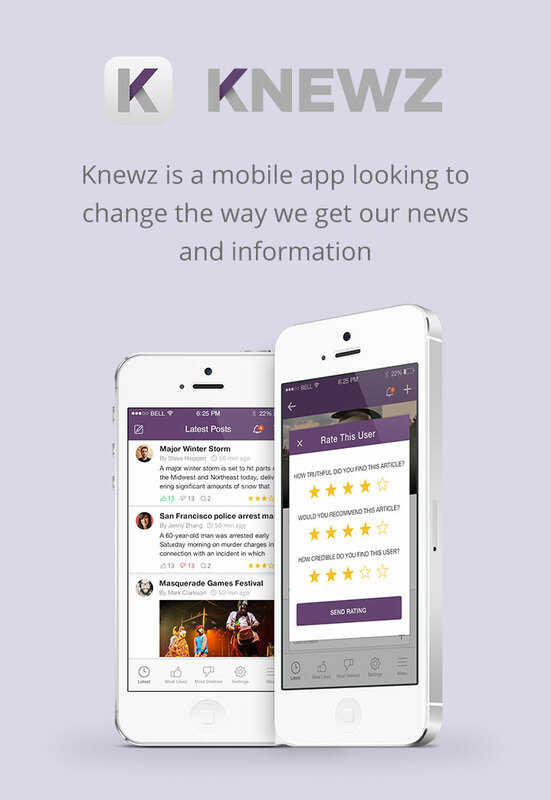 Redesign of Knewz app for iOS! 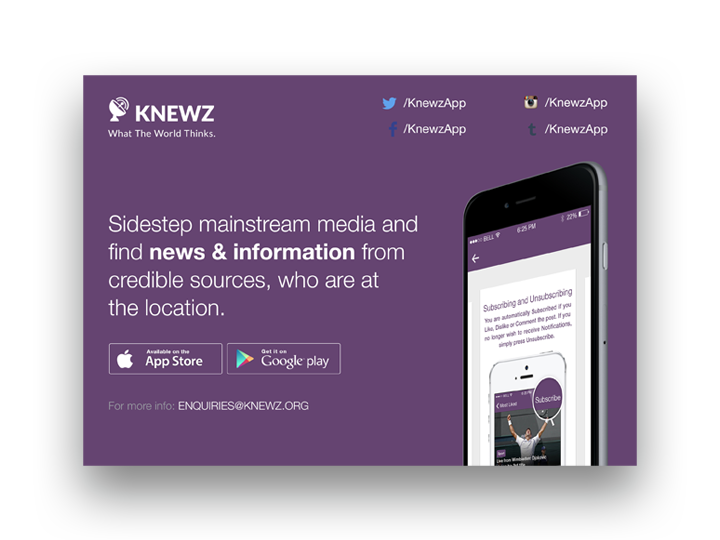 For more information, please visit www.knewz.org “Sidestep mainstream media and find news and information from credible sources, who are at the location”. 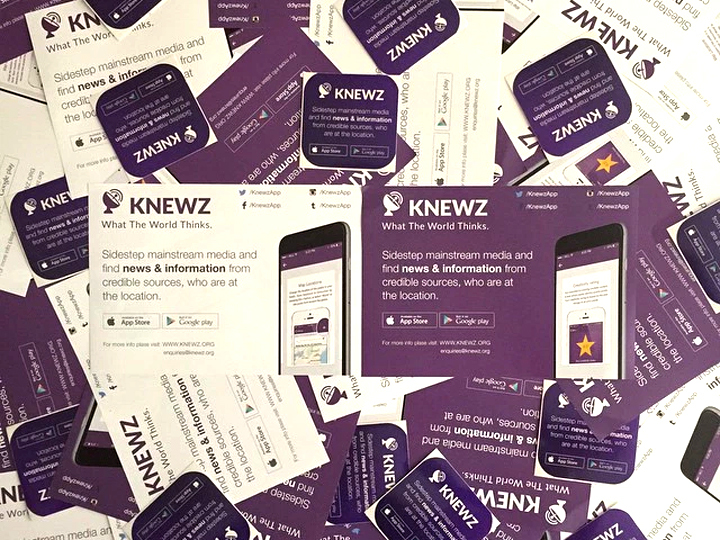 We were in charge of UI Design and app icon illustration, but also the advertising materials, like flyers and stickers.